China's "four great new inventions" - high-speed trains, e-commerce, mobile payments and shared bikes - have drawn global attention. But there are widespread misconceptions about the world's second-largest economy. 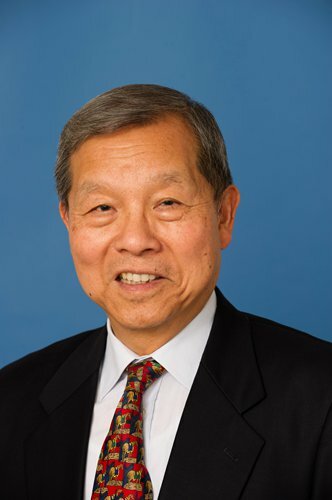 Yukon Huang (Huang), a senior fellow at the Carnegie Endowment for International Peace (CEIP) and a former World Bank country director for China, recently visited Beijing to discuss his book Cracking the China Conundrum: Why Conventional Economic Wisdom is Wrong. On Monday, just ahead of the start of the 19th National Congress of the Communist Party of China (CPC) on Wednesday, he spoke with Global Times reporter Li Qiaoyi (GT) in an exclusive interview. GT: What is the importance of the 19th CPC National Congress in steering the growth of China's economy? Huang: Western observers focus on the composition of the standing committee. I'm interested in policy changes, which will influence the lives of the people. China needs a transformative leadership to move the country forward, to have the system evolve in a way that's right for a new era. That means strengthening institutions and human capital while changing the structure of the economy. China is no longer a low-income country. It's upper middle-income country, and the structure of the economy is different. Services now account for the majority of the economy, which in the past was almost all manufacturing. Policies for a services-driven economy are quite different from those needed for an industrialization-driven economy. The statement released after the Third Plenary Session of the 18th CPC Central Committee in November 2013 said the markets should be decisive in allocating resources, but the State should play a leading role in the economy. Some people see this as a contradiction. I disagree. You can have both principles at work. The government has recognized this, and it needs to be done in a situation where the State has a leading role and determines priorities. This country needs to be clear what it means by these two points. Look at what's happening in e-commerce, Internet activity in China: the State is not much involved, but the private sector is very creative and dynamic, doing things that are even more advanced than in Europe and the US. The State has given them opportunities to flourish. This is what I call good collaboration between the State and the private sector. In areas where private entrepreneurs are not likely to go in because of risks or costs, it's quite appropriate for the State to give support. GT: What is the biggest misconception about China's economy? Huang: There are many aspects of China's economy that observers in the West focus on. One of them is its growth model and people have been writing for years that China's growth is unbalanced. By that they mean consumption as a share of GDP is very low, 35 percent to 36 percent of GDP. They have said China needs to rebalance, to consume more and invest less, particularly if it wants to become a high-income economy. This view is almost universally accepted by Western and Chinese observers. They're both wrong. Unbalanced growth is actually the consequence of a very dynamic growth process. Unbalanced growth in China only emerged around 2000, when the consumption share began to fall while the investment share increased. Unbalanced growth is a result of workers moving from rural areas to urban areas, from jobs in agriculture and into factories or urban services jobs. They are moving from labor-intensive jobs to ones that are capital-intensive. This automatically causes consumption as a share of GDP to decline. That doesn't mean consumption is stagnant. It is actually growing very rapidly. I call this the consumption paradox: the consumption share of GDP falls, but consumption per person or household actually increases rapidly. In China, the average Chinese citizen's consumption over the past 15 years has been increasing by about 10 percent a year, the highest in the world. GT: China's debt is different, according to your book, which is as much a fiscal problem as a banking issue. What are effective ways to address the debt problem and why isn't a debt crisis plausible in China? Huang: We do not have a valid analytic system to examine China's economy, because it's different. It's neither a market economy nor a State-driven economy. It's actually something in the middle, and it's unique. China's economy is different from those in the West, because not only does it have companies, firms, State companies and private companies, but local governments that have an involvement in the economy. People worry about debt expansion in China. In the West, when debt increases so dramatically, it's usually a sign of potential financial problems. But that increase in China may not be a problem. China's debt level has surChina's debt level has surged, and it needs to be carefully managed. But I do not expect a crash. A lot of credit has been financing the increased value of land and property and 15 years ago, you did not know what the value of the property was, because you couldn't buy or sell it. If these property values are stable, the increase in credit is not an issue. It will only be an issue if these properties are overvalued and there's a bubble, a crash. Property prices in China are probably reasonably okay, which means there isn't a major debt problem. Do banks need to be better managed, regulated? Yes. You need to continue financial reform, but that doesn't' mean you will have a financial crisis. That's another area of misunderstanding. GT: How do you evaluate efforts by the central government and local governments to curb housing prices in China? Huang: Let's look at the situation 15 years ago. There was virtually no private property market. Everyone lived in an apartment that was provided by their employer or the government, but now most Chinese people live in homes that they own, and many people in urban areas own multiple homes. It's become a source of investment along with a place to live. Is this good or bad? First, it's normal for people to own property as an investment. In other countries, many people own multiple properties or even entire apartment buildings. What's missing in China is a rental market. The second question is, should Chinese be allowed to buy property overseas? The answer is yes. Every prosperous country, household, or company invests everywhere to spread risks. The Chinese have lots of wealth and assets today, and it does not make sense for them to invest only in China. GT: You argue in the book that few people know that prices in Chinese megacities are actually much lower than in India. How is that? Huang: This is very strange, because the Indian people's income is only one-third of Chinese people's but property prices there are higher. This means something is wrong in the Indian economy. If we look at China in the past 20-30 years, we see rapid urbanization. Just 30 years ago China was 20 percent urban, now it is 57 percent. As these people move, they get better jobs, their incomes rise, they consume more and China grows fast. In India, during the same period, the urbanization rate didn't change. That's a bad sign, because people in rural areas have lower productivity, and they're not moving cities to get more productive jobs. That's part of the reason why India's growth has not been as good as China's. Why are India's urban housing prices so high? Because so much land is set aside for other purposes. It's not the case in Beijing or Shanghai. GT: Is it time to accelerate China's financial reforms? Huang: Financial reforms have stages and phases. You have to figure out when you liberalize and allow people to move money in and out, how you will allow the exchange rate to become more flexible. China realizes that if it's done too quickly, it'll create problems. I think the sequence is very important. China wants to internationalize the yuan. But I am a bit critical of this reformist drive, because to have a fully internationalized yuan, the country essentially lets the exchange rate be fully flexible and funds move at will. But China's financial system isn't strong enough. The government's actually slowed down a little bit, and my own view is this is sensible. GT: What are the relative positions of China and the US? Will China eventually overtake the US? Huang: If you ask Americans, who's the world leading economic power? They say China. If you ask Chinese, they say the US. Who's right? In this case, the Chinese, because the US is the world's leading economic power, as defined by per capita GDP, the strength of institutions and the human capital education base. China is catching up fast, but it's still far behind. Why is this confusion a problem? Because it arises when the US and China talk about policies. US policymakers have the wrong ideas, which lead to wrong policies. If China grows 6.5 percent per year, and the US grows at most 1.5 percent, within the next decade, China will have the largest economy. It's already the largest economy if you use purchasing power standards, but it would be the largest economy even by the market exchange rate. But it will be many, many decades before China's per capita GDP comes close to the US. A country's strength doesn't lie strictly in such measures. It's the institutions, human capital - whether people are well-fed, well-educated, have a comfortable life. China realizes this when it talks about a prosperous society. The question is what China can do to strengthen its institutions and increase its human capital base. If you look at China's budget, at the local level and the central levels, it's much smaller than you would expect. China needs to reform its fiscal system to provide more funding for this purpose.